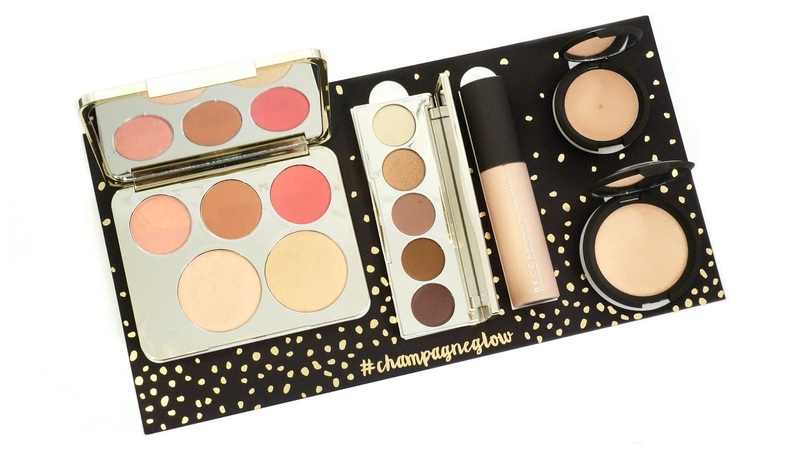 UPDATE: The Champagne Collection will be available at Sephora AU in store and online on Monday 11th July! 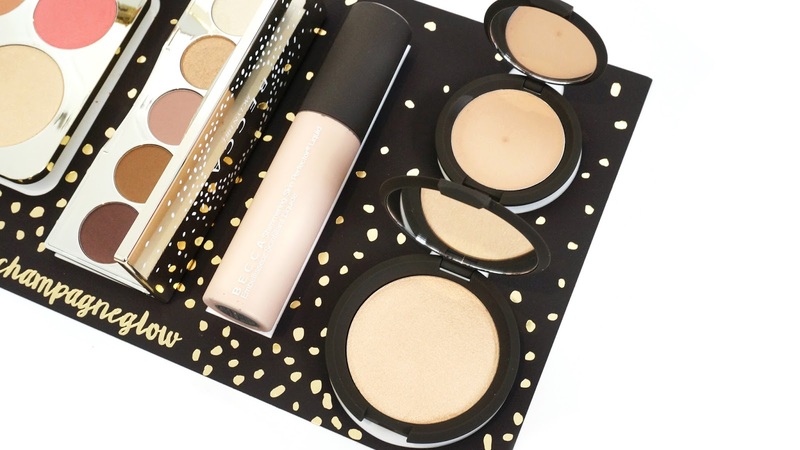 I'm sure many of you have heard of Becca's highlighter in Champagne Pop or own one yourself. It was initially a limited edition highlighter created by Becca and Jaclyn Hill, but when it first launched, it almost broke the internet. 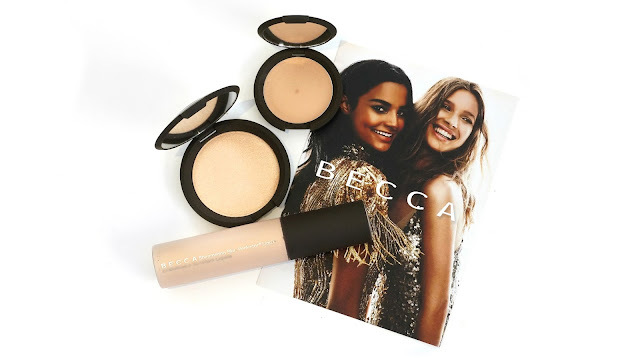 The highlighter sold out very, very fast and due to the high demand, they decided to add it to Becca's permanent range. 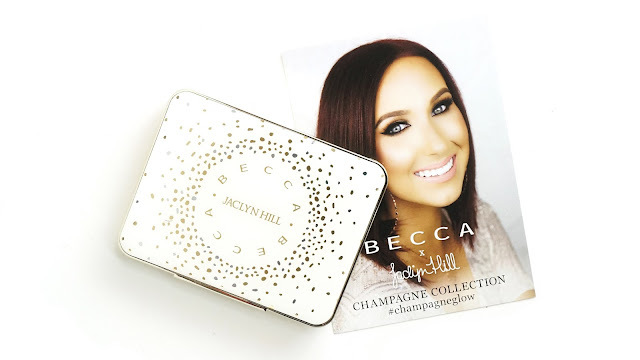 To celebrate the success of Champagne Pop, Becca has collaborated with Jaclyn again to bring us the all new Champagne Collection: a Face Palette, an Eyeshadow Palette and Champagne Pop in all three formulas (pressed, poured creme and liquid). This collection was recently released in the U.S. and as expected the Face Palette sold out within 2 hour during the initial launch. Rumour has it that the Champagne Collection will be available in Australia exclusively at Sephora AU on 7th July - that is in less than a day? Keep your eyes peeled! 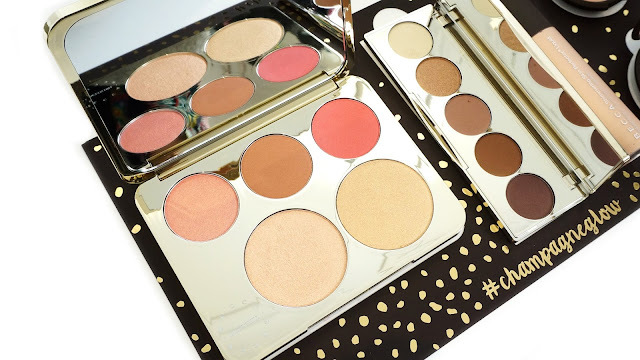 The star of the collection has to be the Face Palette, featuring 3 blushes and 2 highlighters. This palette is limited edition. 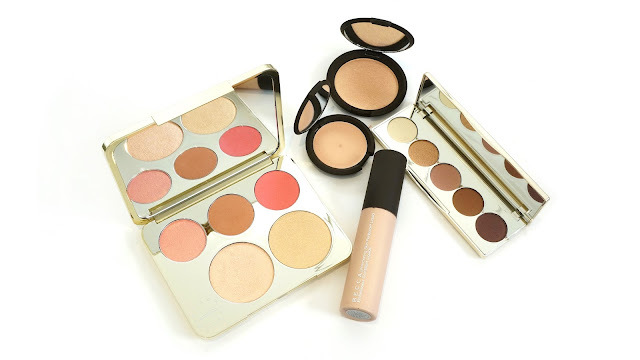 All the brand new shades and including the iconic Champagne Pop are designed by Jaclyn Hill. Can we just talking about the packaging? 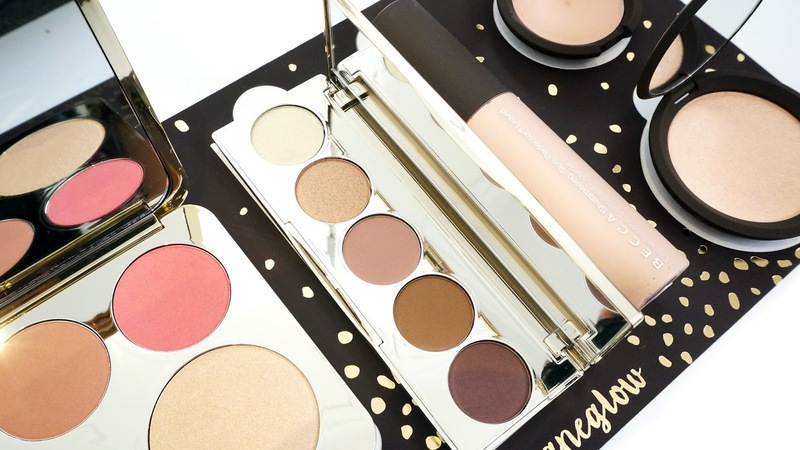 The Face Palette comes with a huge high quality mirror and it is nicely weighted. It feels luxurious holding it in the hands. The specks of gold and silver on the cover resemble the bubbly champagne and the white and gold combo just screams classy! I was so excited to see that they have included a Luminous Blush in the palette. I've been loving their new blush range and Rosé Spritz is such a beautiful colour for everyday. I've got a full review of the Luminous Blush range if you are interested - here! 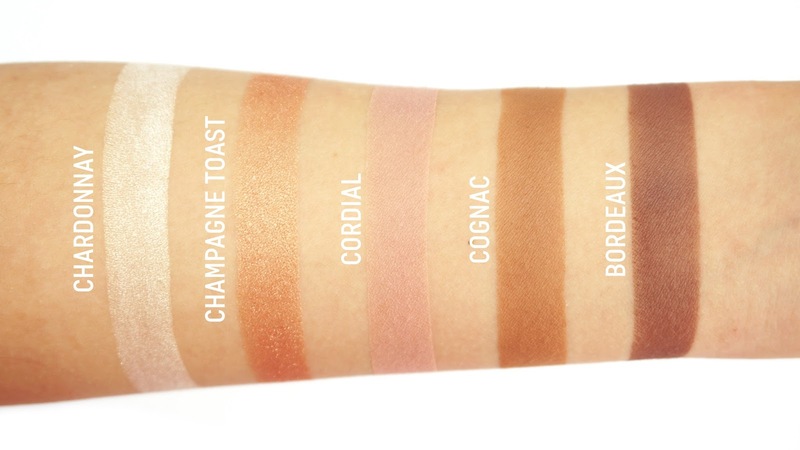 You can use this Face Palette to customise your perfect glow by layering the blushes and highlights. Sometime I even mix the two highlight shades together to create my own champagne cocktail - definitely makes those cheeks pop! Moving on! The famous Champagne Pop was originally only available in pressed powder form, but now Becca has made it into cream and liquid. YAY! Let's get glowing! This OG highlighter has been out since last year and is well loved by me and a lot of people. 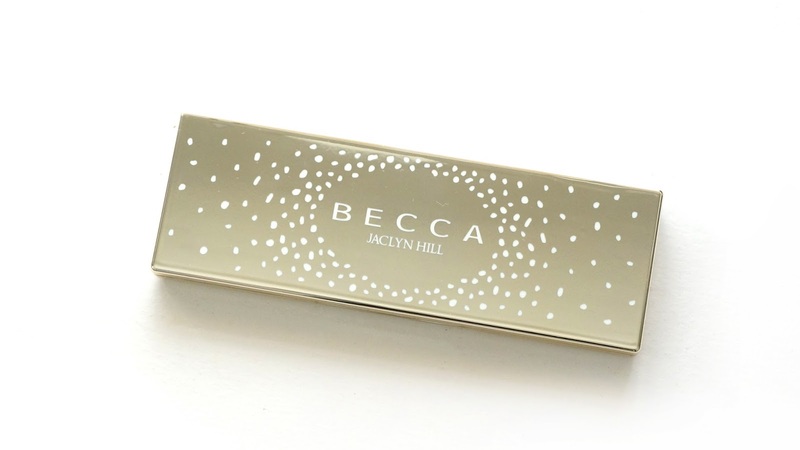 It was the first collaboration between Becca and Jaclyn and it is the inspiration behind this Champagne Collection. 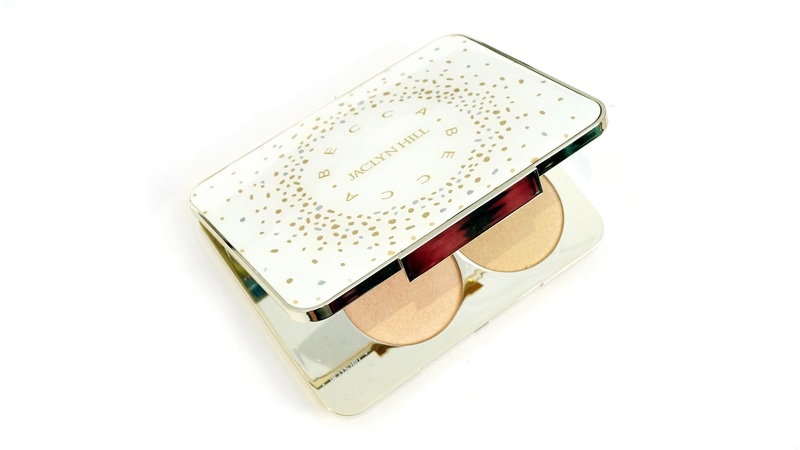 The Shimmering Skin Perfector Pressed has a creamy powder formula. It almost feels wet to touch. 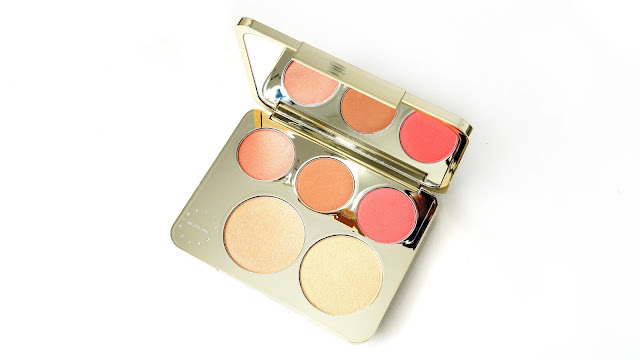 It is highly pigmented and gives a high shine finish and is perfect for that intense highlight or layering over blush. 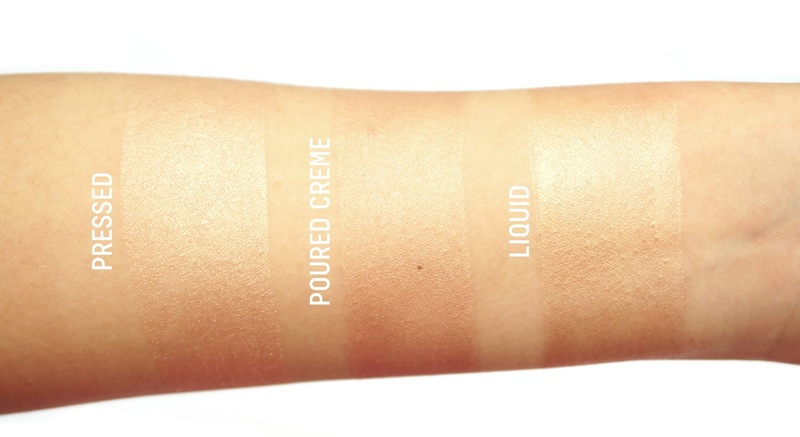 The Poured Crème formula has a soft creamy consistency that provides a subtle understated highlight. The finish is slightly more matte compared to the Pressed. As you can see in the swatches below, it is less intense, but it still gives a luminous glow. It is perfect for highlighting on the go, all you need to do is just tap it on the high points of your face and you are good to glow! Liquid highlighter is definitely something new for me to incorporate into my makeup routine. This gives such a nice natural finish to the skin. It is dewy, but it is not overpowering. Since it is a liquid, it is best to be used alone as a illuminating base or mixed in with foundation to give an overall glow to your skin. It is the perfect mixer. 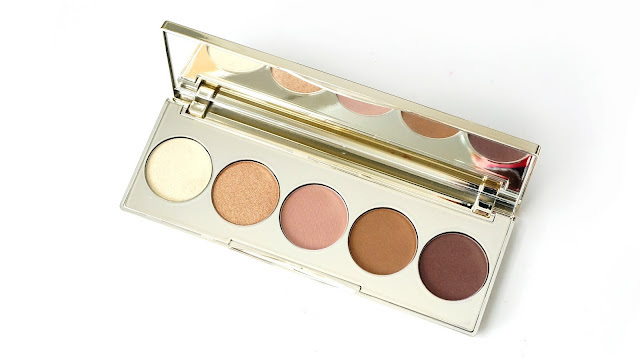 Unfortunately, the Eye Palette has been completely removed from the collection (I know! It's so sad! ), meaning it won't be coming to Australia with the rest of the collection. Jaclyn Hill personally addressed this issue on her Snapchat. In a nutshell, Becca used a new laboratory in China that is highly recommended to them to produce the Eye Palette, but turns out the quality of the eyeshadows was inconsistent. After the initial launch, there were mixed reviews on the palette. Some palettes were amazing and some were just dry and chalky. So in the end, Becca and Jaclyn decided to pull the Eye Palette entirely out of the collection. I must be one of the lucky ones who received a good one and I am loving my palette. Let me quickly talk about it and show you some swatches. This eyeshadow palette comes with 5 new limited edition eyeshadows that are all warm neutrals with a mix of lustrous and matte finish. The exclusive shade, Champagne Toast, is the only shade in the palette that was created by Jaclyn and it is inspired by Champagne Pop. The packaging and layout of this palette is exactly the same as Becca's Ombre Rouge and Ombre Nudes Eye Palettes. Very sleek and travel-friendly. 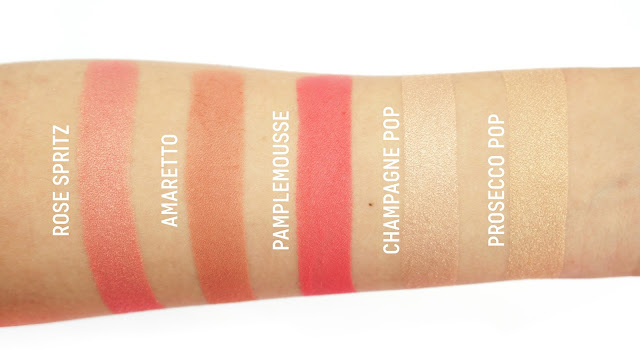 When comparing the texture of the five shades, the mattes were really pigmented and easy to blend, just like the ones in their palettes in their permanent range. On the other hand, Chardonnay and Champagne Toast seemed a little dry and less smooth, but they still performed very well when applied. I'm very excited to see that there's more coming from Becca and Jaclyn. What do you think of the Champagne Collection? What product caught your eyes? I will make sure to keep you all updated on when this collection will be available on my Instagram and Snapchat.